JAMMU, Sept 8: Experts believe that J&K will achieve excellence in sports only when comprehensive Sports Policy is framed. But the million dollar question is as to how much time is required to the State Government for framing its own Sports Policy. Though, around five years have passed since the preliminary exercise for formulation of J&K Sports Policy was initiated, yet one observes that Jammu and Kashmir Government’s own Sports Policy is still a dream as there is hardly any concrete work initiated with regard to implementation of the same despite lapse of all these years. 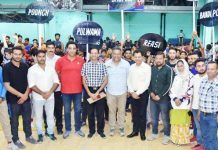 Despite the fact that former Ministers for Youth Services and Sports, under the regimes of big three regional parties, have stated that J&K will soon have its own Sports Policy to give further impetus to the sports activities, the Policy is still far away from its implementation in the State. The statements of these Sports Ministers with regard to framing of Sports Policy speak volumes, but the need is to convert the statements into reality by implementing the Policy in letter and spirit to see sports and the sportspersons flourish in the State. 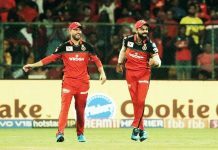 Sources said that the previous Sports Policy draft prepared in 2013 had suggested various measures for the upliftment of sports and games and providing necessary facilities to the players so that they could match with the best in the business, adding that after the draft was fully prepared, the autonomous sports body decided to put it in public domain for suggestions to bring any further improvement but that did not happen. The draft was not implemented due to lack of consensus. Sources further said that J&K Sports Council, which is presently in no man’s land, was working on the preparation of new Sports Policy Draft in PDP-BJP regime with an aim to address concerns of all stakeholders. 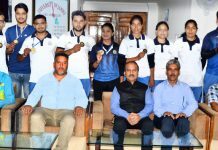 It is learnt that the Council was studying models of the Sports Policy draft of various States to have an exact idea of what should be done to make the draft sportsperson-friendly. “A survey was also done wherein the people concerned were talking to the players, their parents and to the public to get an exact idea of what is really required to put J&K sports on the world map,” claimed the then Sports Council. “A Comprehensive Sports Policy can only contribute in the making of a desirable sports structure in the State. Unfortunately, we do find that almost all the agencies including the Department of Education, J&K State Sports Council, Department of Youth Services and Sports, Nehru Yuva Kendras and various Sports Associations working in a haphazard manner in their own respective ways but to no avail and ultimate purpose of sports is getting defeated in this way. All these agencies need to be brought under one umbrella if we want to make headway in this direction,” said Doctor of Philosophy (PhD) in Physical Education on the condition of anonymity. He said taking both education and sports together would cater to the development of organic, cognitive and conative aspects of human personality, adding that education must very unfailingly encompass the application of physical education and sports for the development of wholesome personality. 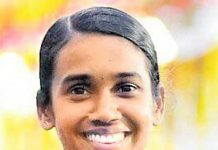 The Sports Policy should aim at rewarding the outstanding sportspersons to appreciate and acknowledge their contribution so that new talent is lured towards the sports activities. For that matter, Asian Games medallist, Surya Bhanu Partap Singh deserves a better deal as it is learnt that the State Government is yet to announce any cash award in favour of this ace sportsperson, who is the first person to win a medal at Asiad. According to the reliable sources, the state’s which have a good name and fame in the field of sports, award outstanding sportspersons with big cash prizes, besides other incentives and perks. On the one hand, Haryana Government has announced a cash award of Rs 3 crore each for Asian Games gold medallist Wrestlers, Bajrang Punia and Vinesh Phogat and 1.5 crore for silver medallist Lakshay Sheoran, besides 75 lakh each for bronze medal winners, while on the other hand, J&K has yet to announce any cash award for the State’s hero, Bhanu Partap, who clinched historic bronze medal for J&K in the prestigious Asian Gmaes-2018. “The Sports Policy should aim at categorizing sports to ensure focused attention for balanced growth and development of various games. Categorization of games, awards and incentives for outstanding sportspersons and respect for the Central Government’s Sports Code has always been the ‘mantra’ to blossom in sports for the States which produce international stuff that keeps their flag high at the National and International scene,” said former International sportsperson of the State while expressing anonymity. Sources said, according to the draft, the new Sports Policy is aimed at providing opportunity to all the citizens to participate in sports, develop, maintain and optimally utilize high quality sports infrastructure and channelize youth talent in sports. However, one fails to understand as to why the Government is hesitant in implementing the Sports Policy despite having done all the hard work in framing draft analogous to the Sports Policies of the States which have a good name and fame in this field at the higher levels. Former Secretary State Sports Council, had said that it would take around two to three months to implement J&K’s own Sports Policy, adding that the draft already framed needed some changes through experts and they are already on the job. “The Policy to be implemented needs to be concrete and free from lacunas, that’s why you need expert views on the same”. 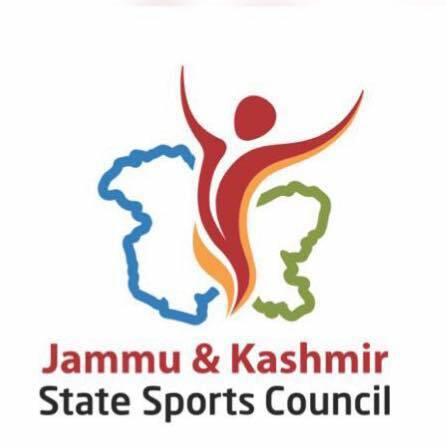 The Sports Council under PDP-BJP regime earlier had claimed that in a bid to ensure participation of all stakeholders in the promotion of sports in J&K, which is lacking adequate infrastructural facilities for its sportspersons, the J&K State Sports Council has prepared an all new Sports Policy draft discarding the previous one which was prepared five years back. However, according to the reliable sources, no concrete steps are being taken with regard to implementation of Sports Policy of the State. To create a niche in the field of sports and carve a space on the National sports map, the implementation of the Sports Policy is need of the hour. For that matter, the time is ripe for the State Government to implement its own Sports Policy at an earliest.